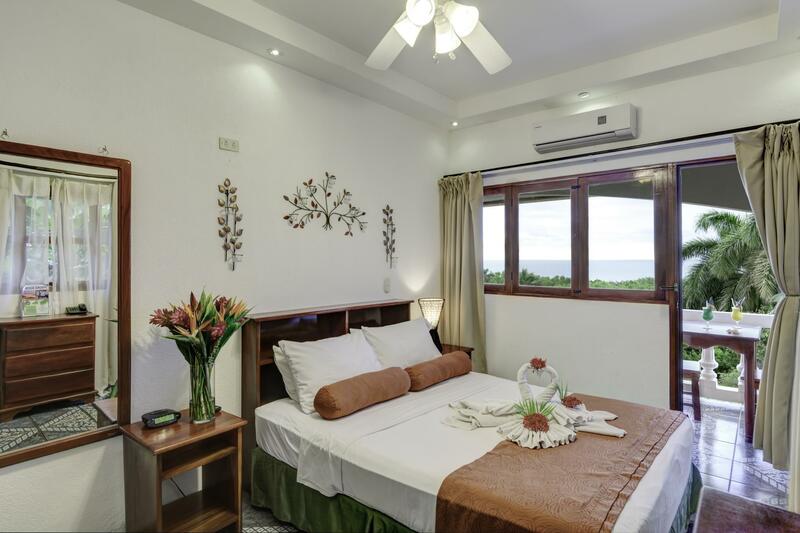 ﻿ Best Price on Best Western Tamarindo Vista Villas in Tamarindo + Reviews! 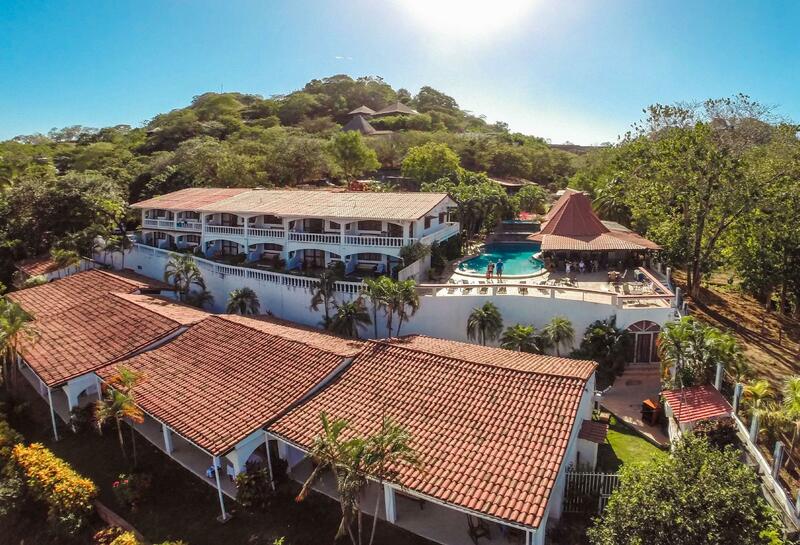 Have a question for Best Western Tamarindo Vista Villas? Nestled in the heart of Tamarindo, Best Western Tamarindo Vista Villas is an ideal spot from which to discover the city. With its convenient location, the hotel offers easy access to the city's must-see destinations. The property offers impeccable service and all the essential amenities to invigorate travelers. While lodging at this wonderful property, guests can enjoy a car park, restaurant, safety deposit boxes, tours, and Wi-Fi in public areas. Step into one of 30 inviting rooms and escape the stresses of the day with a wide range of amenities such as Wi-Fi Internet access, a hair dryer, coffee/tea maker, and in-house movies. The hotel offers fantastic facilities, including a garden and massage treatments, to help you unwind after an action-packed day in the city. 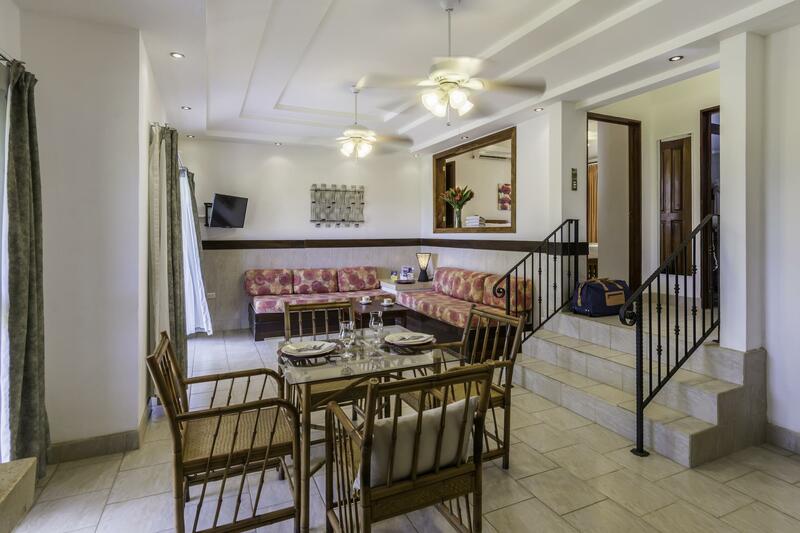 Whatever your purpose of visit, Best Western Tamarindo Vista Villas is an excellent choice for your stay in Tamarindo. I highly recommend this place, especially for the budget travellers that want something better than a hostel. The bed was very comfortable, views were amazing, we were 30 seconds from great surf and there was a free breakfast. It has a great looking pool and swim up bar (we didn't use this as the beach was so close) and appeared to be quite family friendly. Lots of value for money! The hotel was good enough for what I needed it for. But it was not ideal and if I were on vacation I would not stay here. The air conditioner leaked and dripped all night. The toilet leaked and the floor was not clean. The restaurant on site does not have great service and the food is edible. Again, it was good enough and the location is great and you can walk to several restaurants, the beach, etc. I would stay here again for a cheap, short stint, but would not come here for vacation. 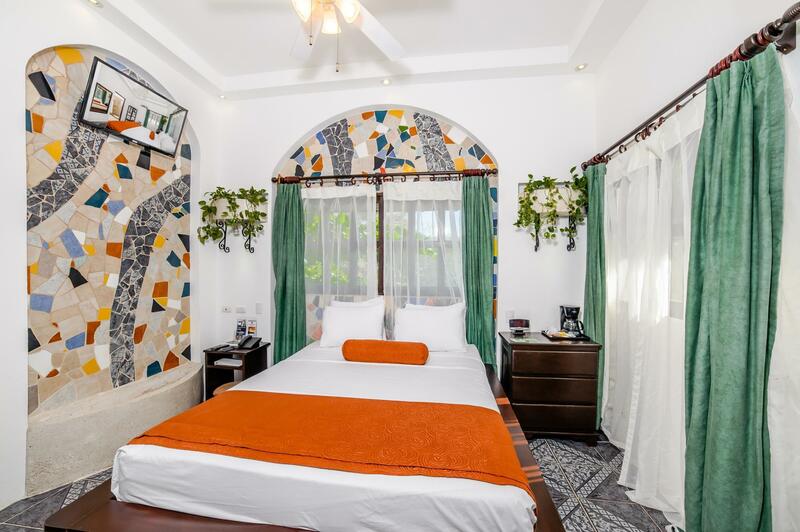 We were pleasantly surprised how great the rooms were, the staff was very accommodating helpful and spoke enough English to make us comfortable. Only warning to others - many stairs to get up to rooms, pool and restaurant- if disabled or uncomfortable it would be hard to access. Convenient, beautiful ocean view, nice pool. Could have cleaner. Ceiling pan didn't work, although it was hanging with dirt and dust, so may have been best that it wouldn't turn on. Air-conditioning was difficult, didn't want to turn on...so once it did work, we left it on and simply adjusted the temp. Was enjoyable sitting on the balcony, watching the ocean, and the bed was comfortable. My stay was OK, nothing special. Breakfast was basic and not good. The only saving grace was some good, fresh cut fruit. Otherwise, white bread, Fruit Loops and Coco Puffs. The "granola and yogurt" was awful. At least there was plenty of hot water. Hotel was a good value. It is nicely located near across the beach and walking distance to the center of the town. Hotel had a nice pool and good view. It was a short but pleasant stay. Really enjoyed the pool and bar area which has a spectacular ocean view. The hotel is right on the edge of town and walking distance to everything. The girl at the front desk was extremely knowlegeable and helpful. Would definitely go back. We were in a small room overlooking the ocean (not directly on the beach, though). Air conditioner worked in fits and starts. We came in one day to find a large puddle on the floor under the air conditioner. After several attempts to get the phone to work (apparently, we had to hit the "0" button immediately after lifting the phone, rather than waiting for a dial tone), the front desk sent someone quickly to look at the situation. He vacuumed out the unit and wiped up the large puddle of water, and it seemed fine. Within a few hours, though, it was dripping again. We had to go to a wedding, so we couldn't say anything about it until the next day. The maid simply left a towel under the floor under the air conditioner. The next day, we said something about it to the front desk, and they were rather cavalier, saying "this is Costa Rica, after all." After 3 nights of misery, we requested a new room. This was after we could not sleep at all because the air conditioner was spitting ice and cold water on us in the bed. It was too hot to open the windows. The clerk at the front desk sent us up the hill to look at a downstairs unit, which was supposedly the only one available. It was even smaller and darker and we said it was not acceptable. He checked again, and, miraculously, he found an upstairs unit next to our room. We moved to this room; the air conditioner was better. Be aware that on Friday nights, there is loud music at the bar that can limit your sleep. This was not an issue for us, because we had a function to attend. However, late one afternoon, we received a notice slipped under the door that informed us of a special "ladies' night" event with music expected to last until 2am. It mentioned "provisions would be available at the front desk." On our first call, the female clerk advised us "just have several drinks, and you will sleep through it." On our second call to a different clerk, he told us he had earplugs for those who wanted to sleep. This hotel needs major remodeling. I won't stay in this hotel ever. There are plenty of options in the area. This is problably the worst hotel in the area. I booked for two night, but I was able to survive only 1 night. Estuve alojada en el hotel vista villa de manuel antonio en costa rica, solo estuvimos una noche y tuve un trato pesimo por parte de la encargada del hotel. Era una mujer de unos 45/50 años quien hablaba en ingles y nos trato de un modo despota y nefasto al decirle que nuestra reserva tenia vistas y la habitacion que nos habian dado no cumplia esas condiciones. Nos respondio diciendo que cancelaramos la habitacion sino nos gustaba. He sido jefa de recepcion en varios hoteles y se me han dado muchos casos de este tipo y hay mil maneras de afrontarlas y aportar opciones. Esa señora consiguio amargarme el dia, una pelea con mi pareja y por supuesto tener una imagen de esta cadena no muy buena. Siento mis quejas porque preferiria decir el buen trato que me dieron pero no es asi porque me quede porque no teniamos a donde ir, estaba todos los hoteles cogidos. Si me quejo es para que se tomen medidas y quede en aviso de que los profesionales tambien se les exige un minimo de educacion y empatia con el cliente. Espero que se me tome en cuenta.